After Dexter’s Laboratory and Powerpuff Girls, Genndy Tartakovsky wanted to do something different for his next show—an ultra-stylized action series that would adopt a new art style. Tartakovsky also had a reason for Samurai Jack’s cinematic, sparse dialogue: he was burned out after doing two comedy shows. Going from Dexter to Powerpuff, there was a lot of dialogue, there was a lot of... you know, we did action, of course, but I was getting burned out on the words, and both shows had this big, thick black outline. So I was thinking about what’s next for me, what I wanted to do, and comedy is really difficult. And all the action we did in Dexters and Powerpuff was very successful, and I felt like we had a good knack of it. I decided that maybe the next thing I do is to do an action show. I would complain about all other animated action shows, and so I decided that maybe I gotta walk the walk. I had this idea, and I pitched it as “It’s a samurai, who gets transplanted into the future, he walks around and fights robots with his sword, and there’s not a lot of dialogue and it’s super stylized,” and then we went for it. 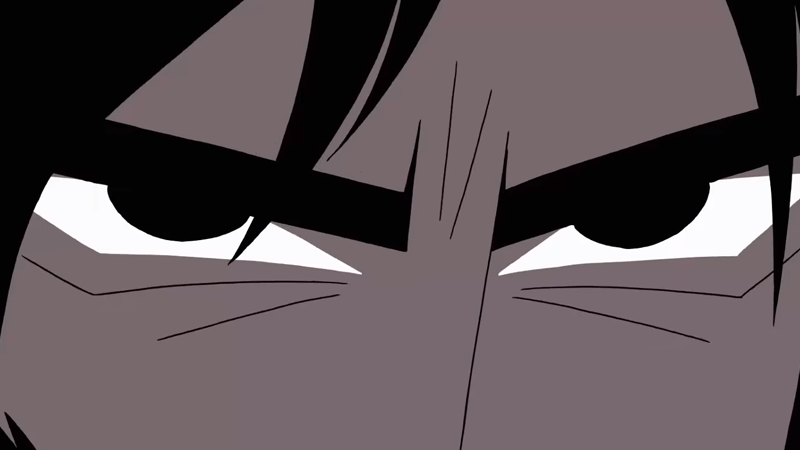 So there you have it—the reason Jack is such a steely, quiet figure for much of Samurai Jack is that it’s a lot easier to write great action when you don’t have to write as much dialogue. 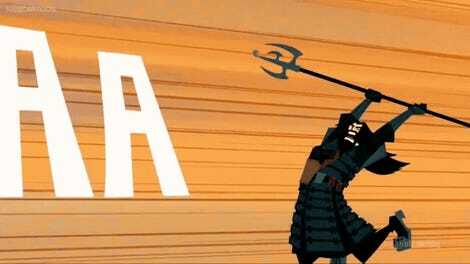 Fathom Events’ one-night screening of Samurai Jack: The Premiere Movie Event hits US theaters October 16.